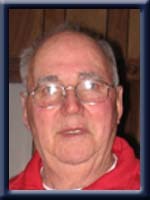 HARTLIN – Keith Frederic, 78, of North Queens Nursing Home, Caledonia, formerly of Kentville, passed away peacefully on Thursday, April 26th, 2012 in North Queens Nursing Home. Born in Harmony Mills, Queens County, he was a son of the late Owen and Ruth (Minard) Hartlin. Keith was an employee with Department of Transportation for many years working with the road crews. He enjoyed gardening and doing puzzles. He is survived by his sister Enid (Charles) MacKay, of Liverpool and several nieces and nephews. He was predeceased by his sisters Helena and Joyce Bentley and his brother Edmund. Enid, please accept my sympathy in the passing of your brother. This is becoming an all too common experience for me as of late. I am sorry to hear of your brother’s passing. My sincere condolences. So very sorry to hear of Keith’s passing. I remember keith fondly in many ways.He had agreat outlook on life. My days working on the highway crew are most memorable to me. Sorry for your loss. He could be quite entertaining at times. sorry to hear of keiths passing.Thinking of you at this difficult time. Our deepest condolences in the passing of Keith. We were very sorry to read of Keith’s passing. Our sympathy to you and your family. Sorry to hear about Keith’s passing. Sending our deepest sympathy to his family and may he rest in peace. I am very sorry to hear about Keith. We use to have a chat with him when we went out to Meadowbrook to visit dad (Lawrence Tarr). Keith always had a waive and time for chat with Mom and Dad when he went for his walks when he lived in Western Head. Deepest condolences for your loss. The Edmund Hartlin family wishes to pass on our deepest sympathy to the entire MacKay family. Keith was not only a friend to his family but to all of his freinds. Thanks for being there for him as his health began to fail. We will all miss him. Just want to send our sincere symapthy to all of you. Our thoughts are with you. We are very sorry to hear of Keiths passing,please accept our sincere sympathy. Enid,My condolences on the loss of your dear brother,Keith. Sorry to read about Keith’s passing.Hang in there. Enid sincere sympathy to you and the family. Thinking of you in your time of sorrow . Brenda and Peggy. Enid -So sorry to hear of Keith’s passing. Thinking of you at this very difficult time. Sorry for the loss of your brother, Keith. Our thoughts and prayers are with you at this most difficult time. So sorry to hear about Keith.Thinking of you.Take care! Your brother Keith was fortunate to have you on his side Enid, thinking of you and your family, take care. Enid..Keep your chin up…sending positive thoughts your way. We were both so sorry to hear of the passing of your brother. Know that you are in our thoughts. Take care of each other. So sorry to hear of your brother’s passing. My thoughts & prayers are with you & the family.